Alford Town filled their boots on Saturday as they put 22 goals past hapless East Coast Blades. 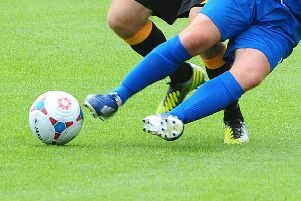 The East Lincs Combination Division Two match featured four hat-tricks as the third-placed side averaged a goal almost every four minutes. The promotion chasers were 9-0 up by half-time before going on find the net a further 13 times after the break against the bottom side. Substitute James Cole helped himself to four goals, while there were hat-tricks for Samuel Allen, Nathan Beech, Joe Irving and Jess Marshall. Andrew White also came off the bench to score twice, and there were solo strikes from Tom Wilson, Andi Reeson, Alexander Simpson and Jack Beardsley.